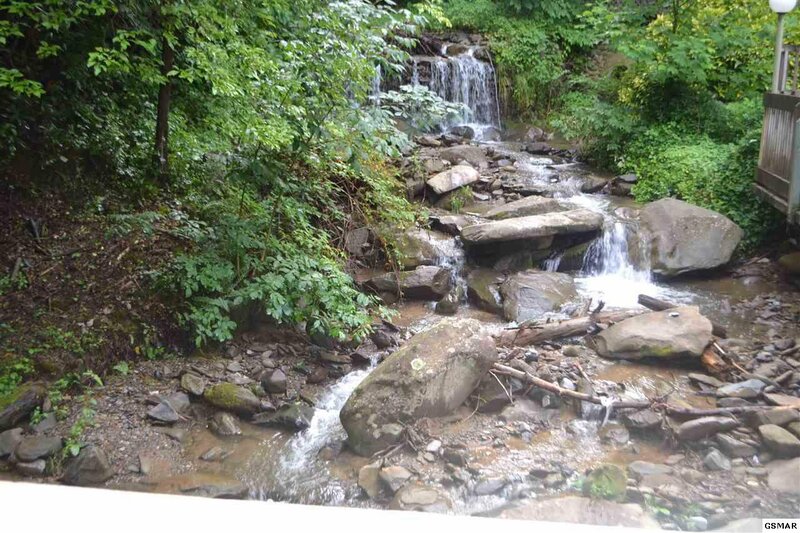 National Park setting!! 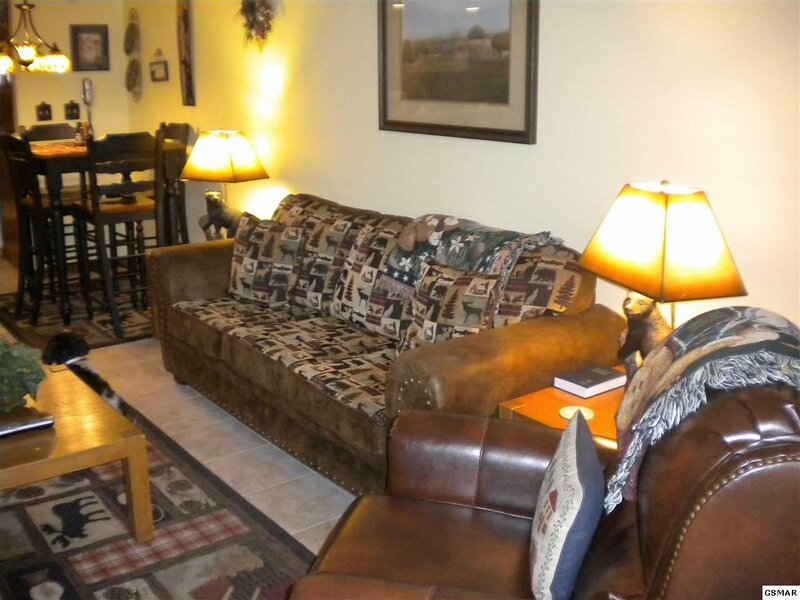 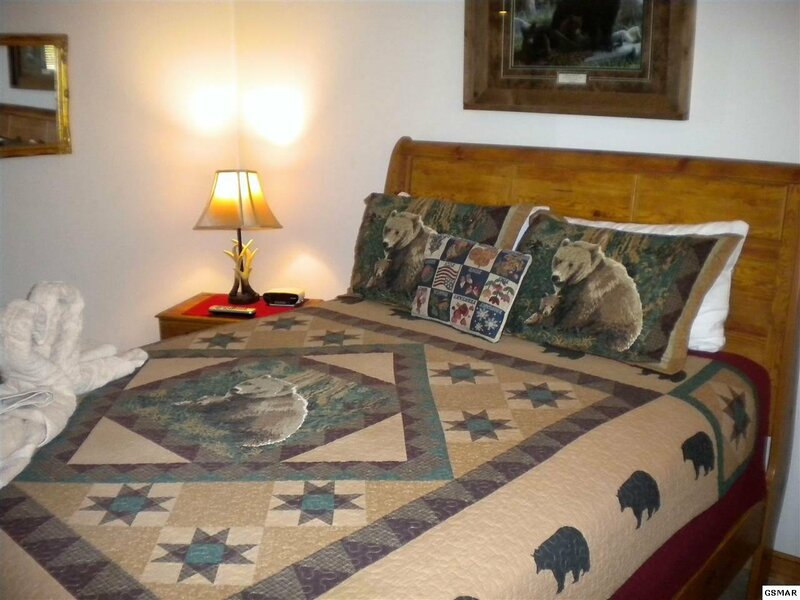 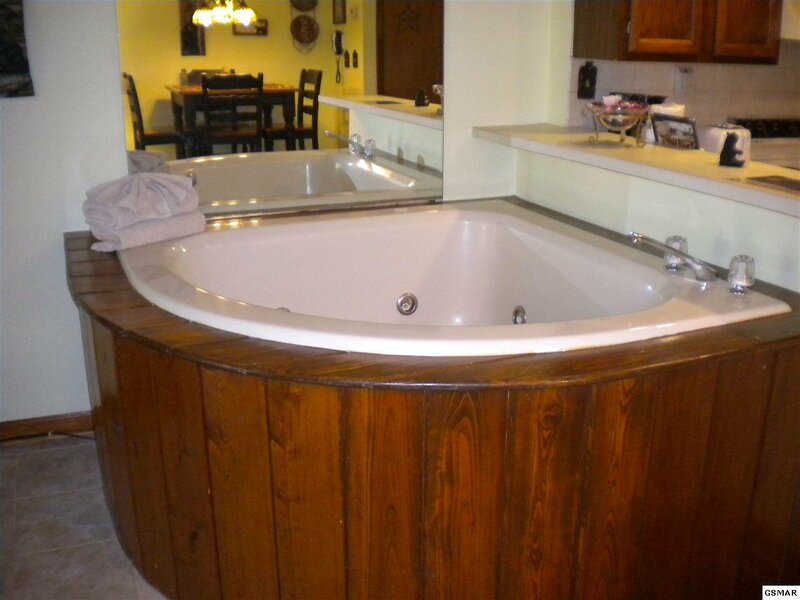 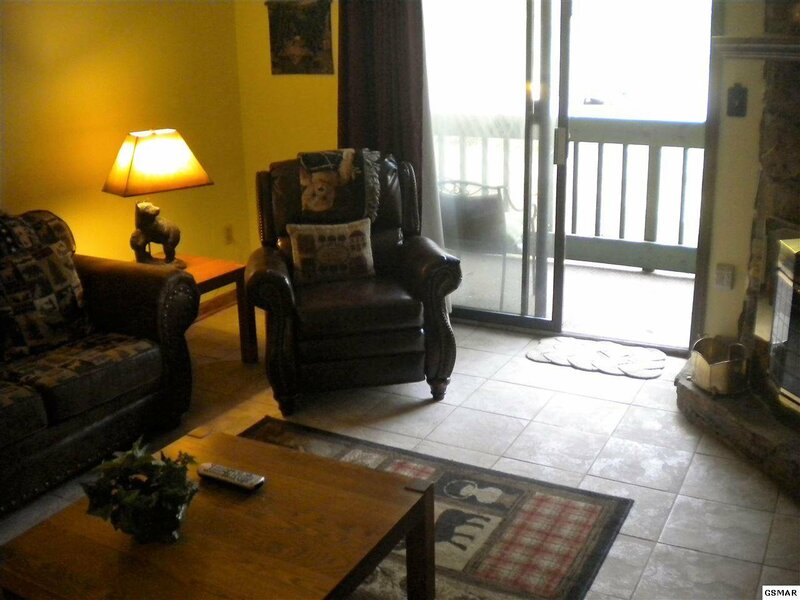 This condo has everything you need for a great escape! 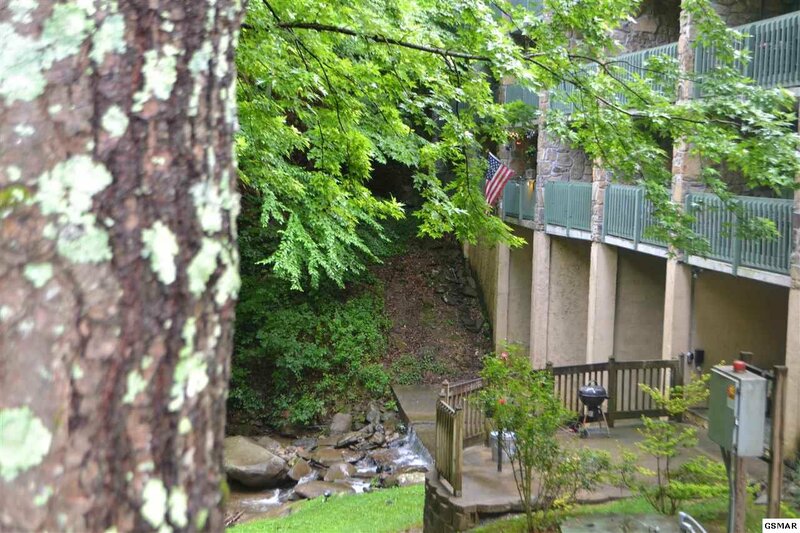 Tucked away in a beautiful mountain setting. 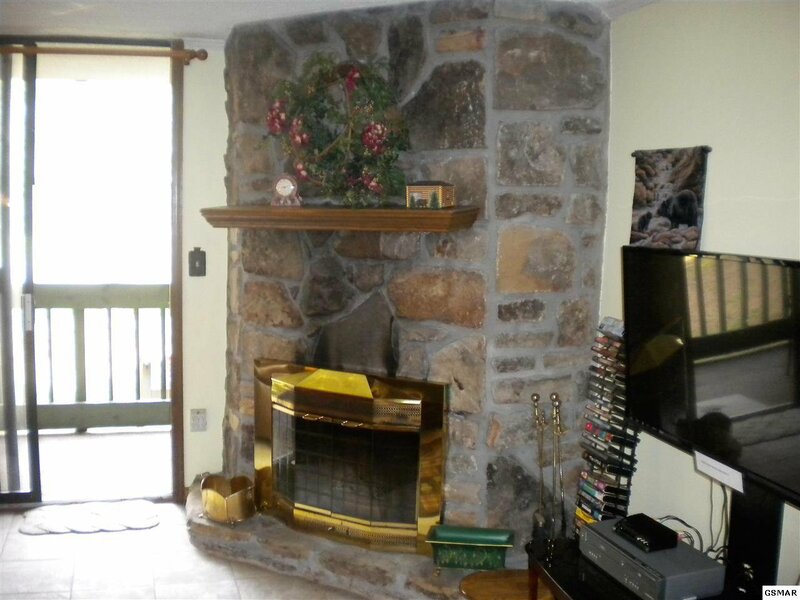 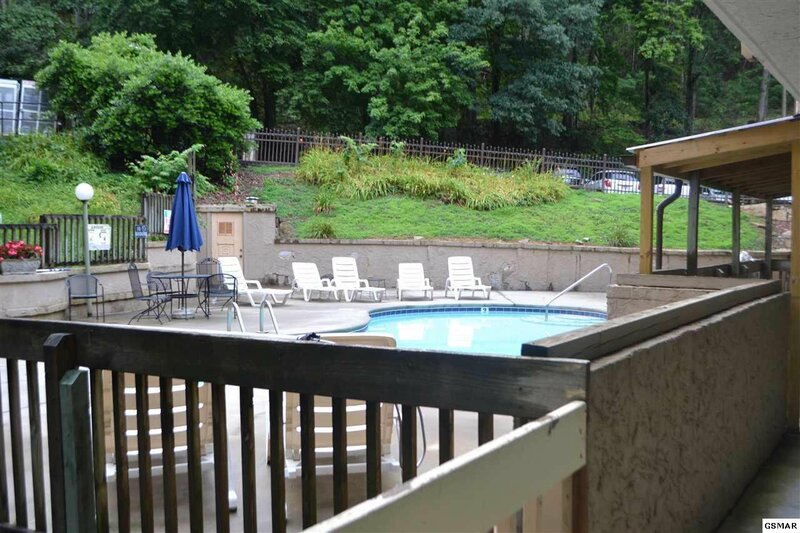 From the balcony you see and hear a wonderful year round gently flowing stream, the living room is lovely with a stone fireplace and in the front you face a gorgeous pool! 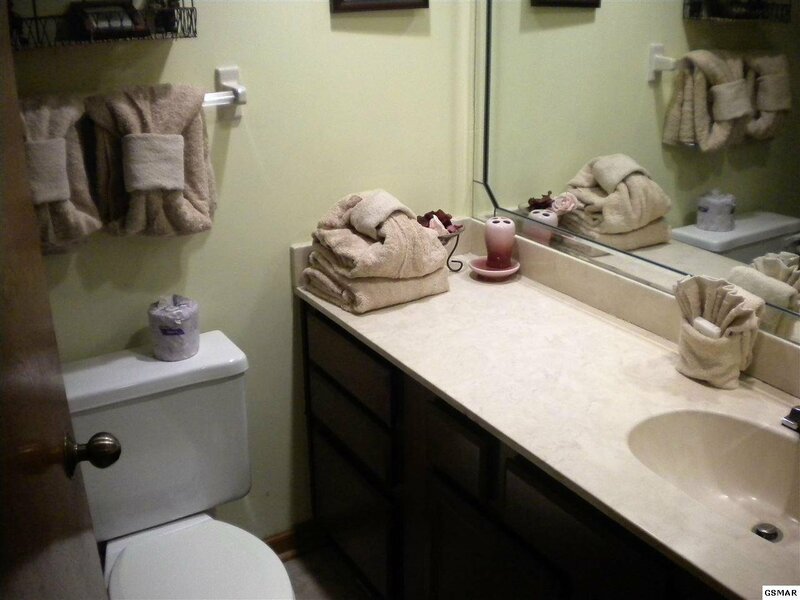 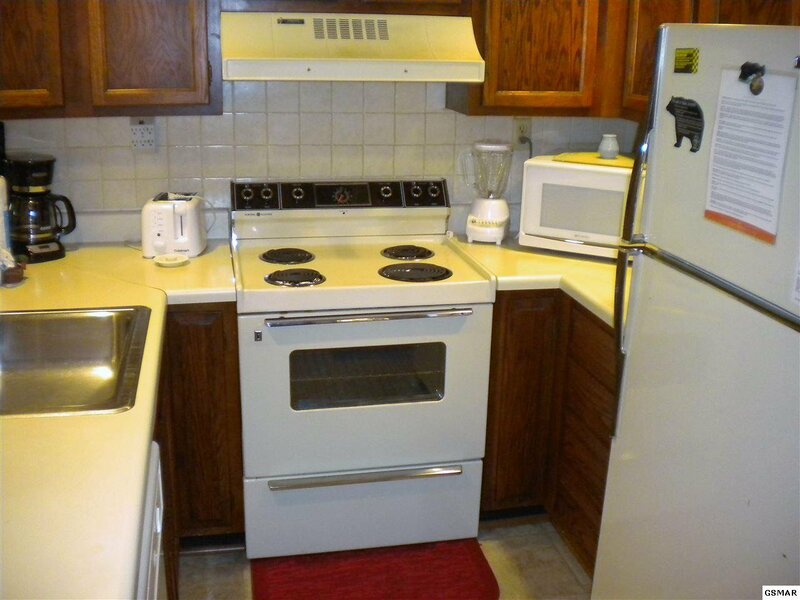 Lots of updates made to this unit, including tile flooring throughout and new Water heater. 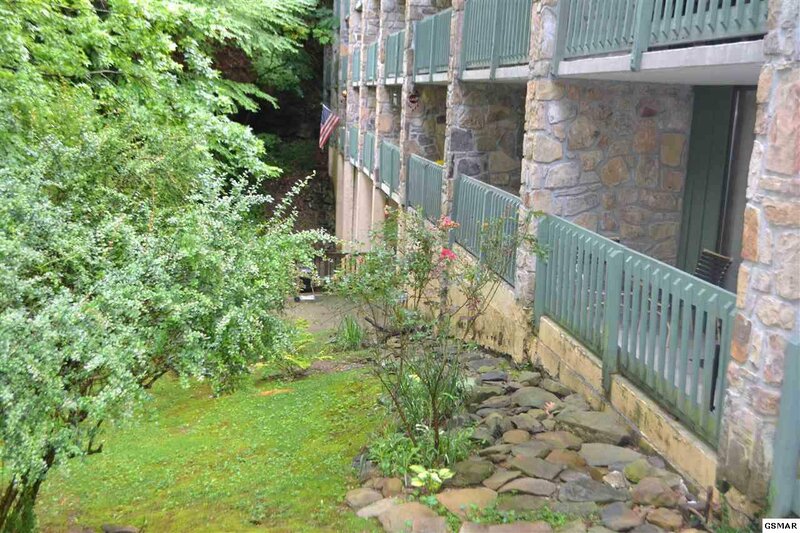 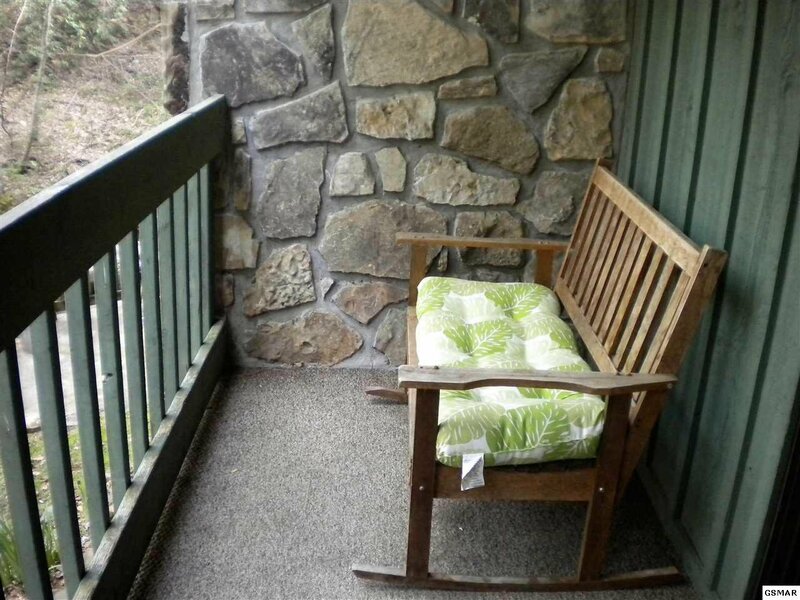 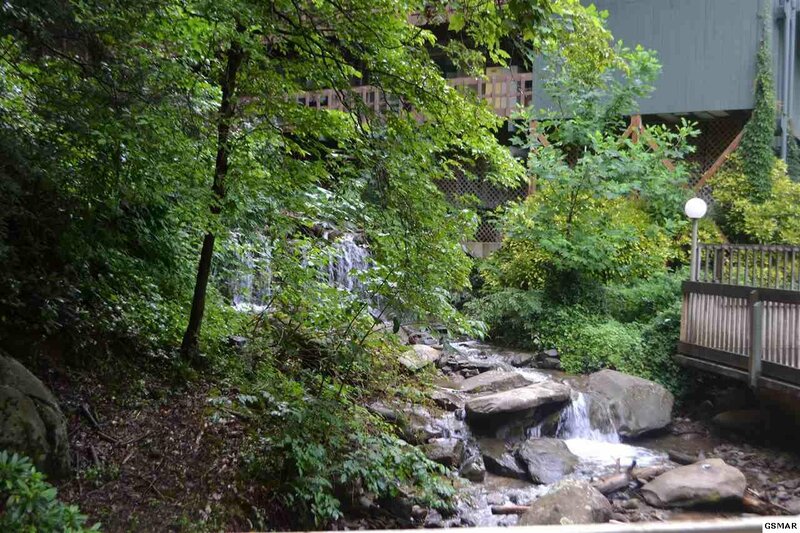 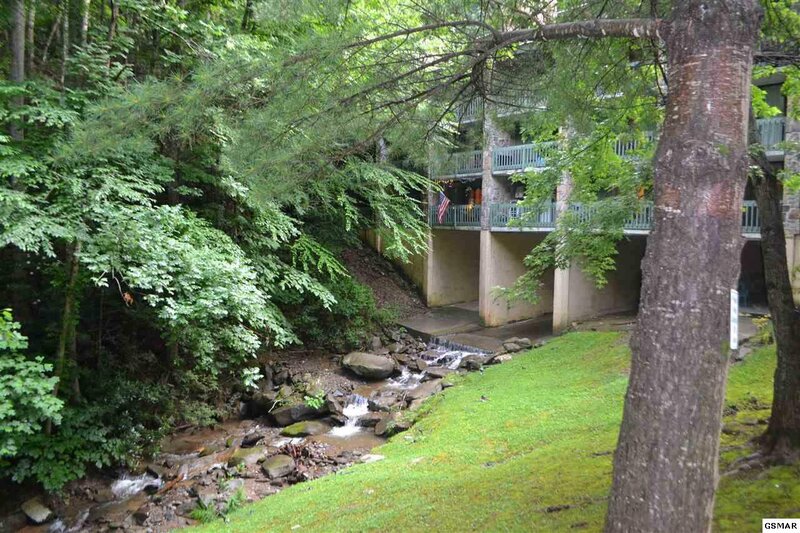 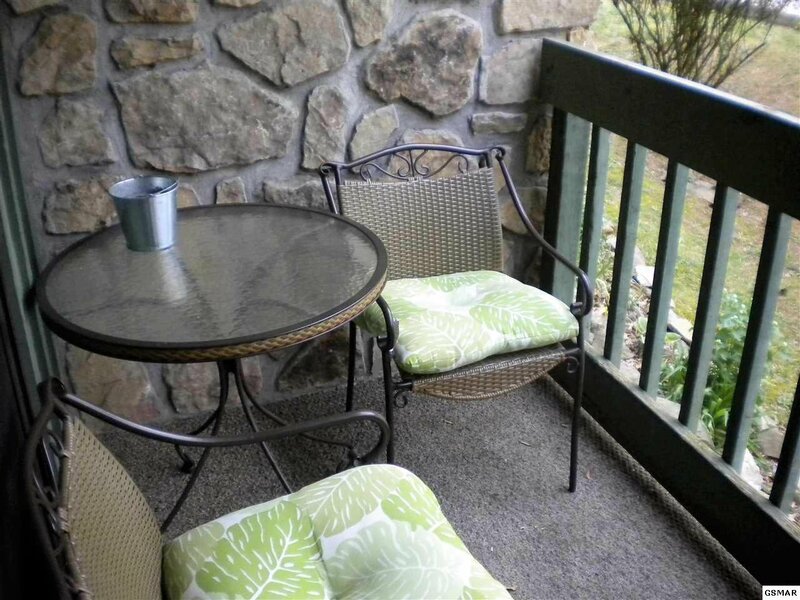 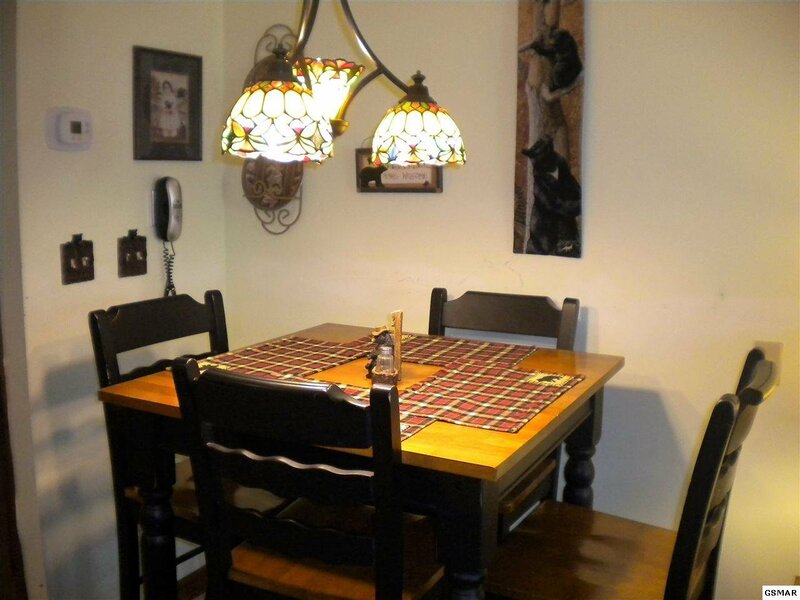 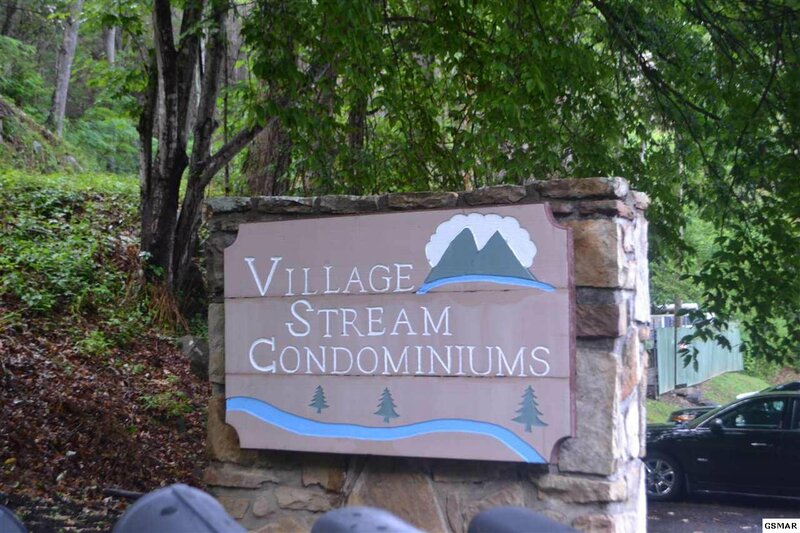 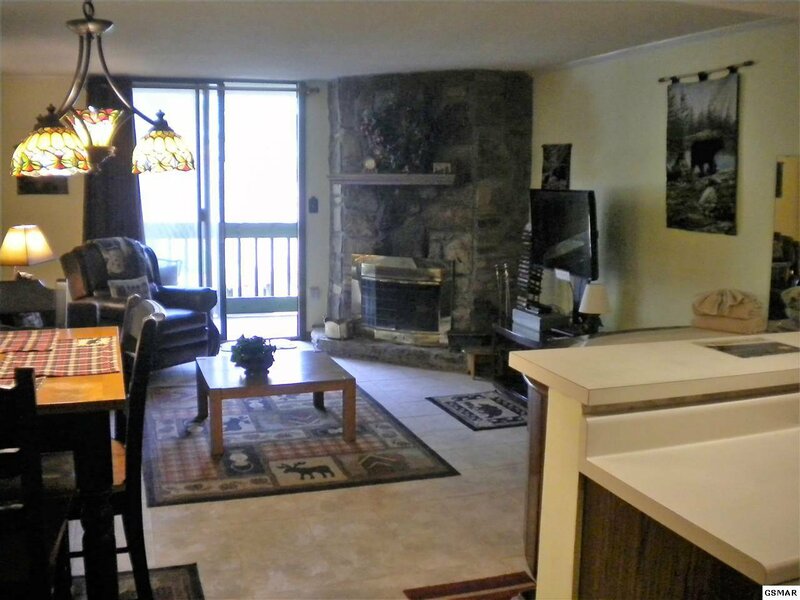 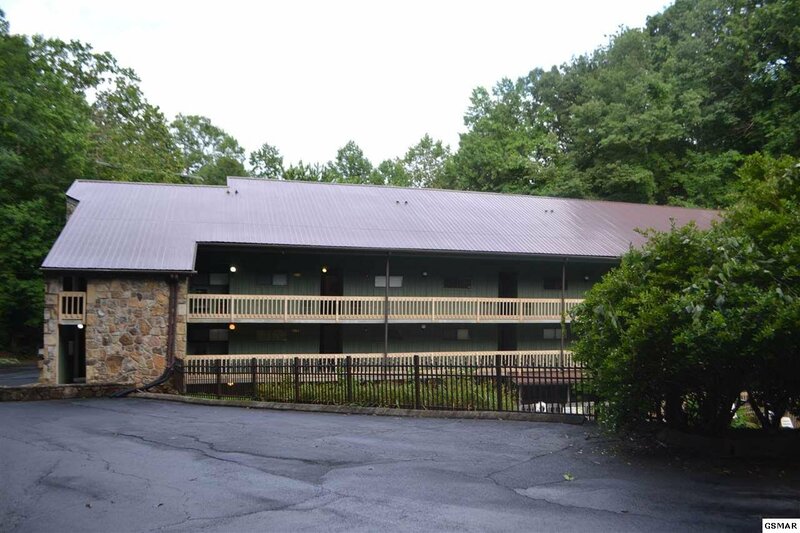 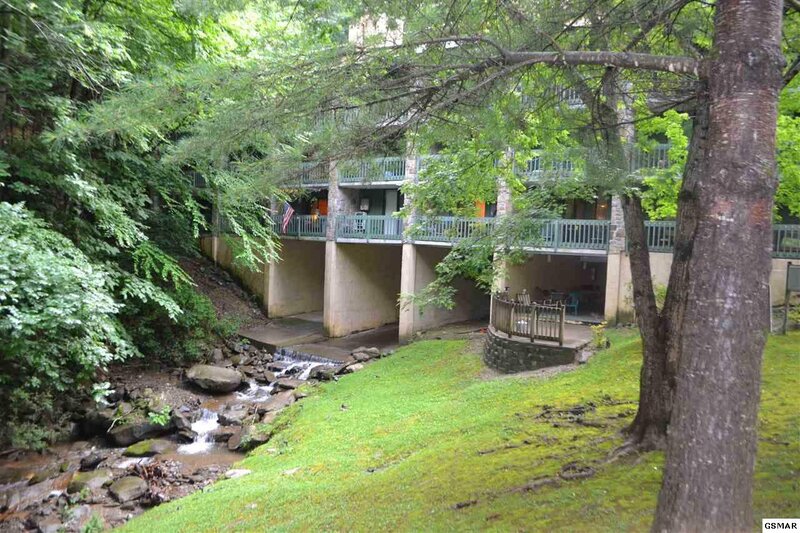 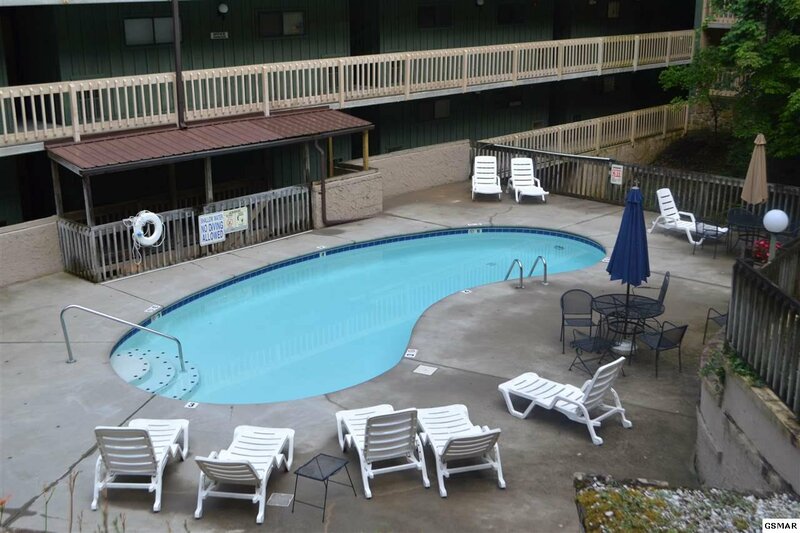 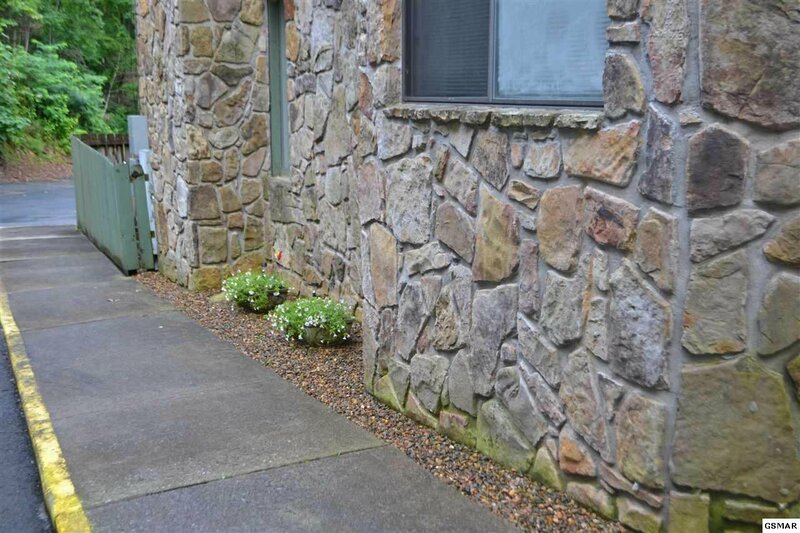 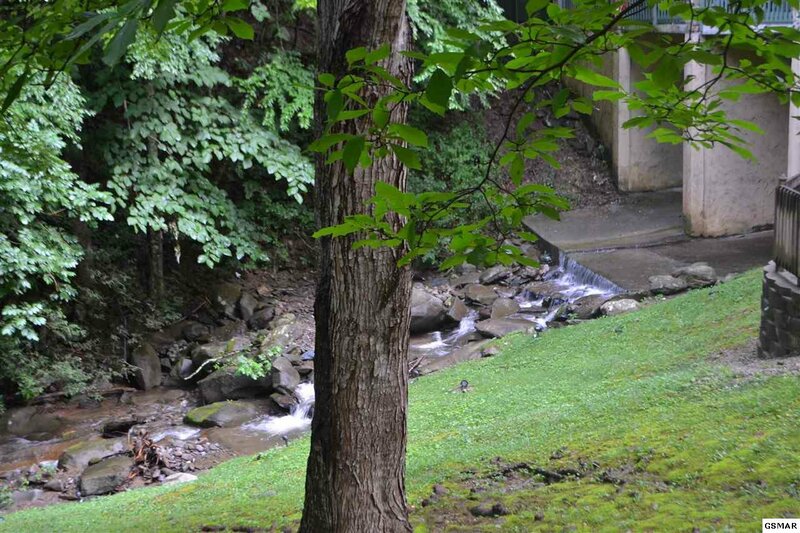 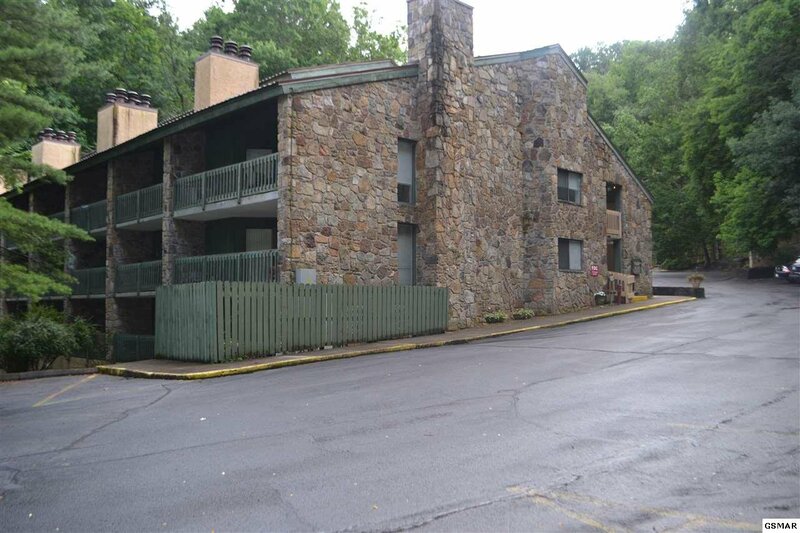 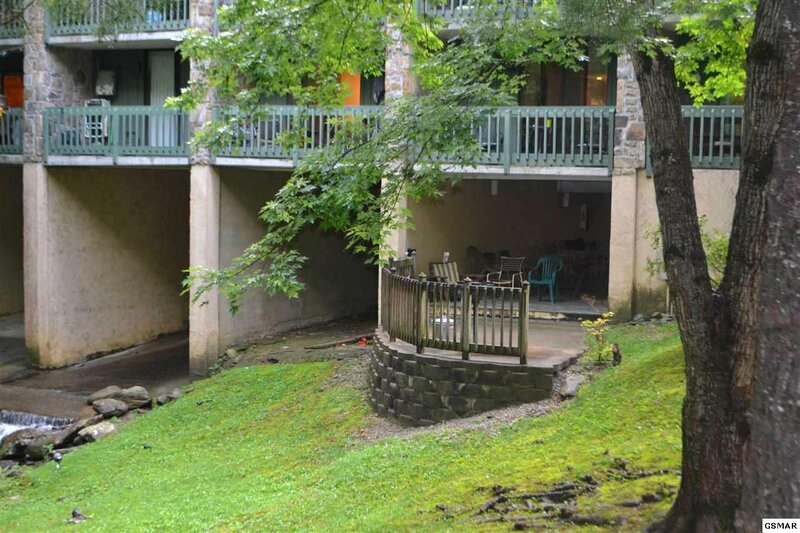 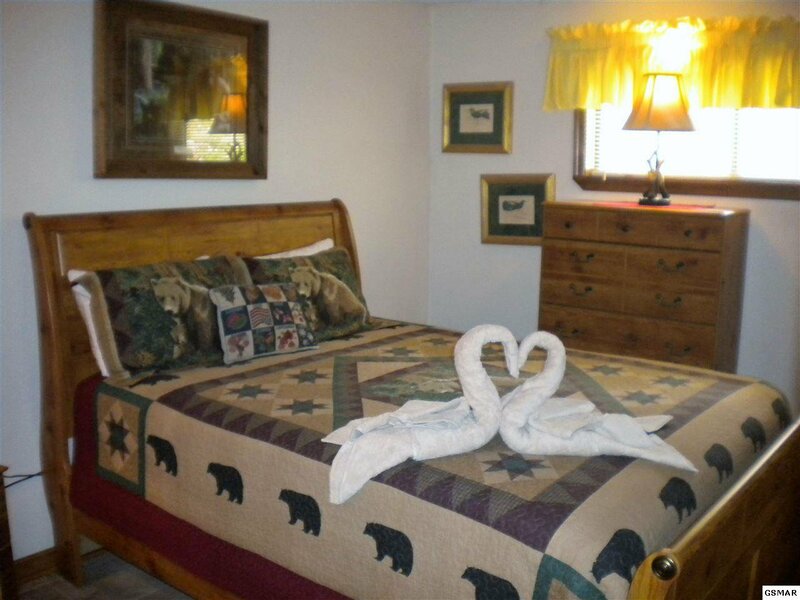 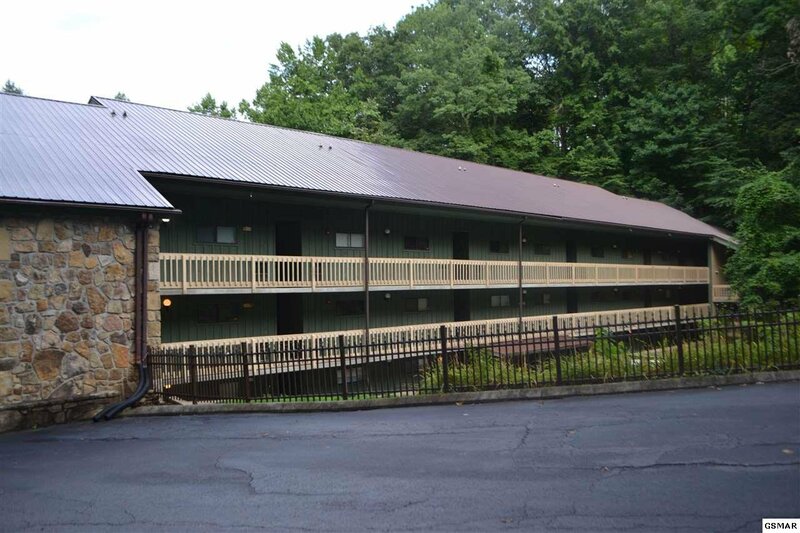 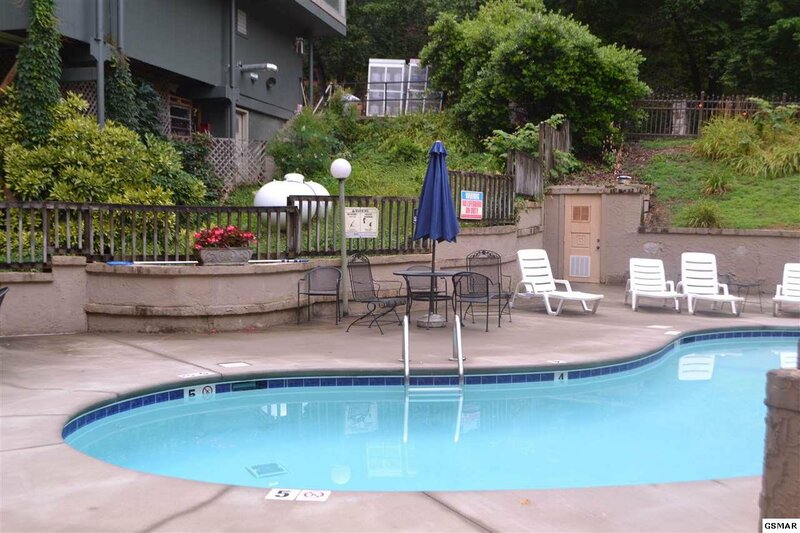 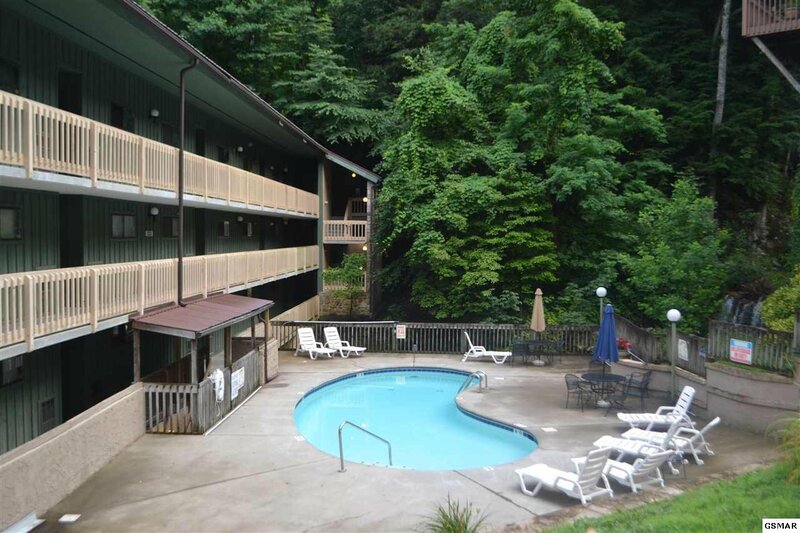 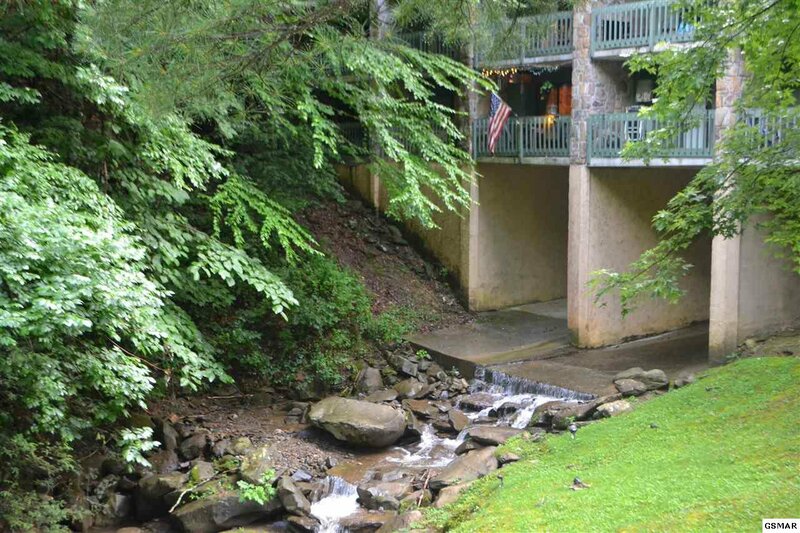 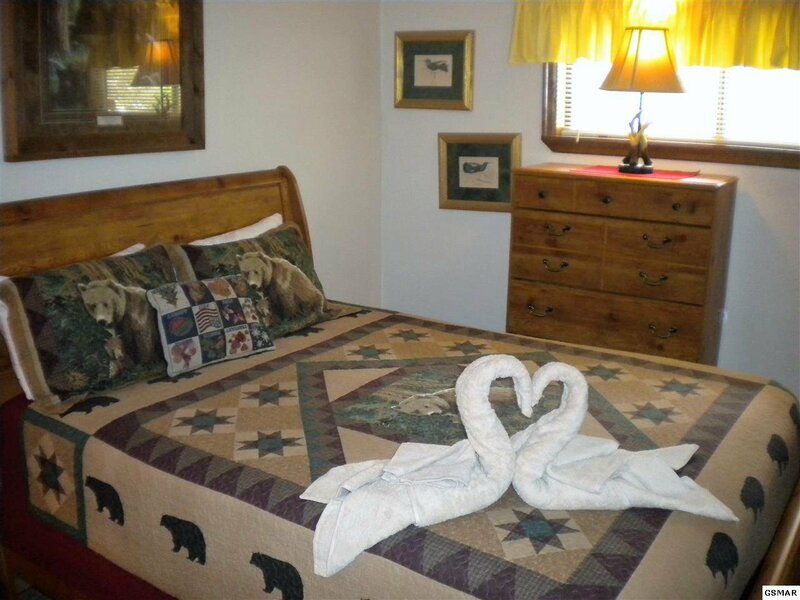 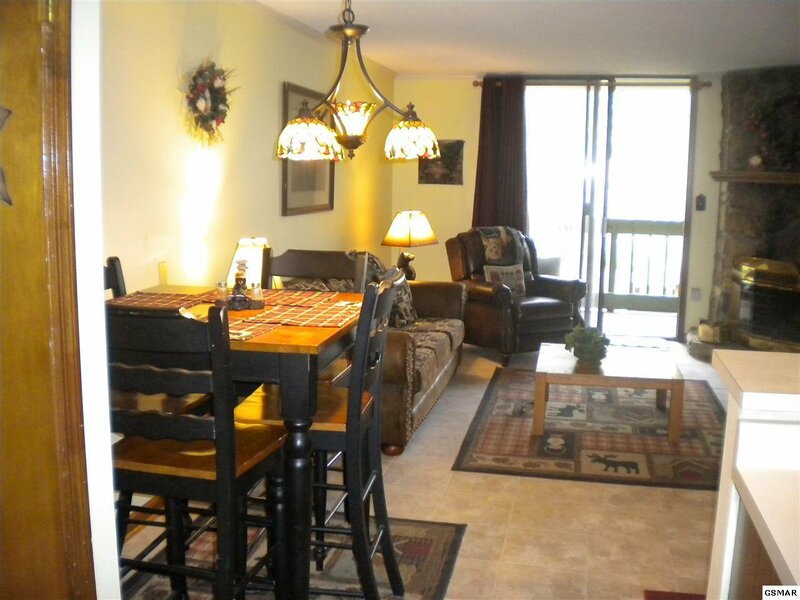 This condo is located right in the heart of Chalet Village and only minutes to downtown Gatlinburg, the Great Smoky Mountains National Park, Ober Gatlinburg Ski Resort, restaurants, shopping, and much MORE!